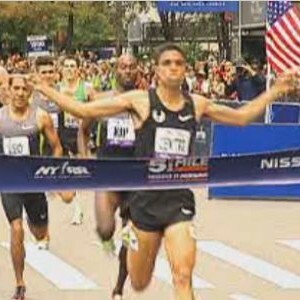 Runners replaced cars along Fifth Avenue Saturday. Runners of all ages came out for the New York Road Runners’ 32nd Annual Fifth Avenue Mile. They were joined by more than 15 Olympians seeking to edge out the competition. There was a race for everyone, including seniors and kids. Runners say the race is just as fun as it is competitive. “I learned to be really patient and just stay in control,” said Brenda Martinez, who won the Women’s Pro Race. Some NY1 employees joined in the media race. Shortly after, they were followed by a heat just for bridesmaids.